Straco extended its footprint into Fujian Province with the acquisition of Underwater World Xiamen (UWX) in 2007. 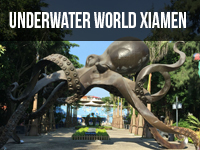 Situated on the scenic Gulangyu Island off the city centre, the aquarium is a key tourist attraction and a must-see for every visitor to Xiamen. 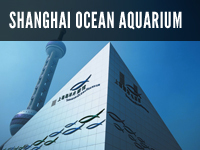 With 5.8 million litres of water capacity, UWX is about two-thirds the size of Straco’s flagship, Shanghai Ocean Aquarium. 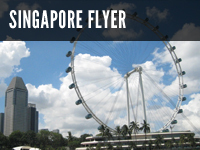 It offers a wide variety of aquatic species to match its larger sister aquarium while displaying one of the world’s largest sperm whale specimens. This exhibit is one of the highlights at UWX, offering visitors a glimpse of the magnitude and grace of the gentle giant. This striking exhibit is the only one on display in China. UWX is currently the only National Education base in Fujian Province. Over the years it has been working closely with local schools and communities to educate both students and adults about the responsibility we all have towards marine conservation. The frequent interaction with schools in and about the region enables UWX to spread the message of marine conservation and deepen the understanding and learning of the ocean and its inhabitants for the general public.